New to the forum and thought I should probably start a thread here for the current build I'm working on, which is my first build from scratch. 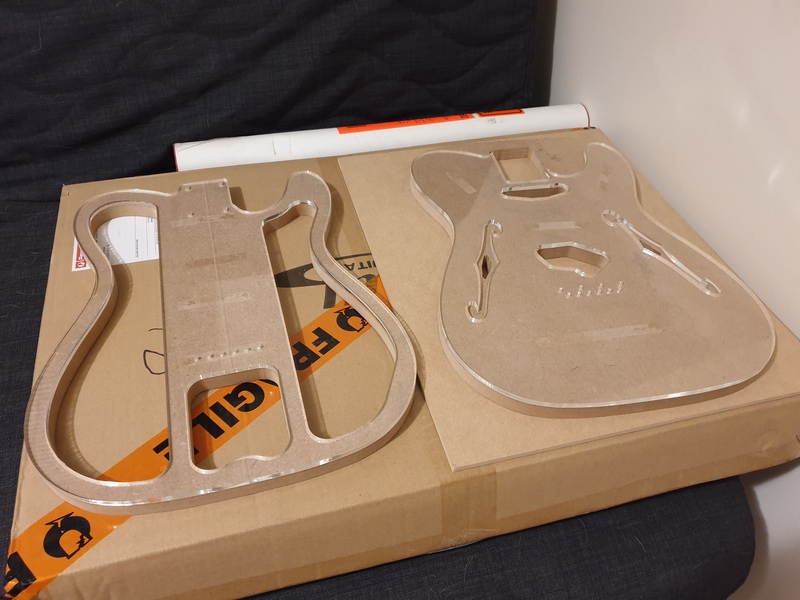 I've been on the buildyourownguitar forum quite a bit and had started a build diary there for this guitar which has already changed directions a couple of times. So I'll keep the first bit brief to show quickly where I'm up to. Tasmanian Oak from the local sawmill. 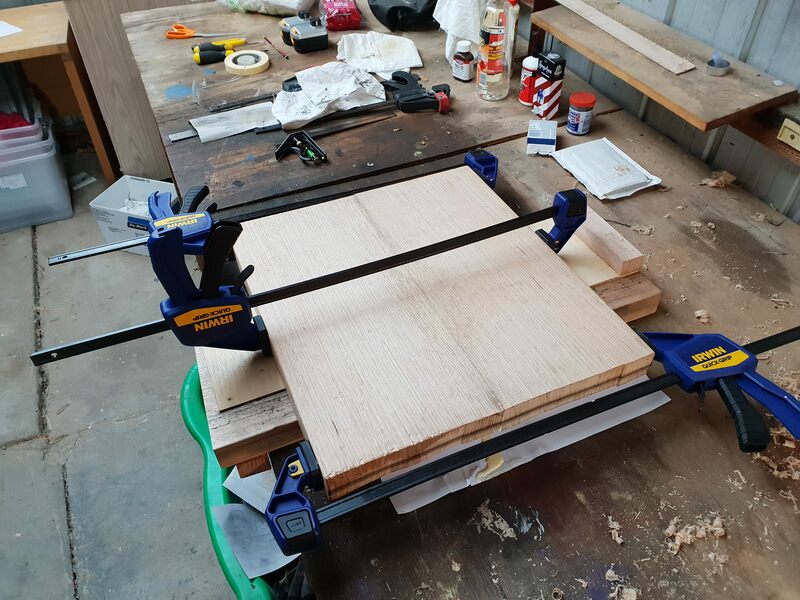 Slapped together a shooting board (Try to ignore the fact the end isn't straight haha, when I made it I didn't have access to a bandsaw or table saw). 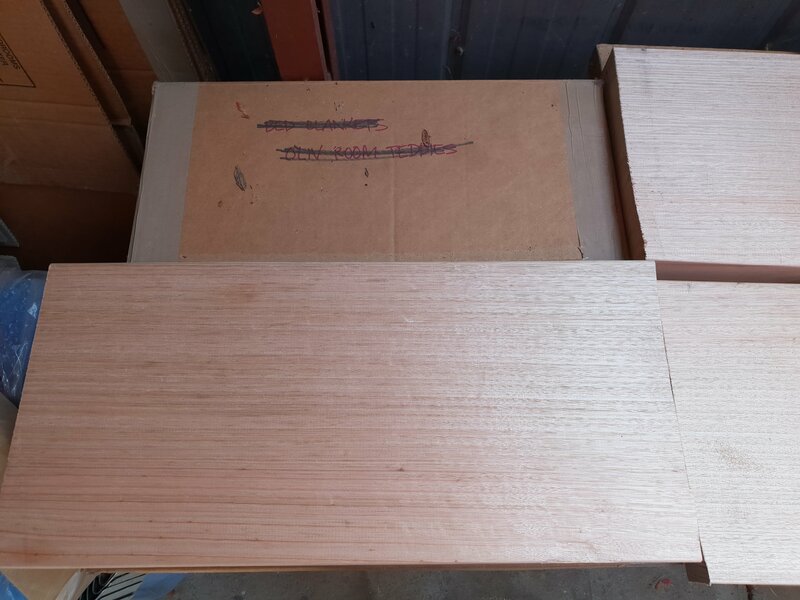 Test fit of jointed boards. 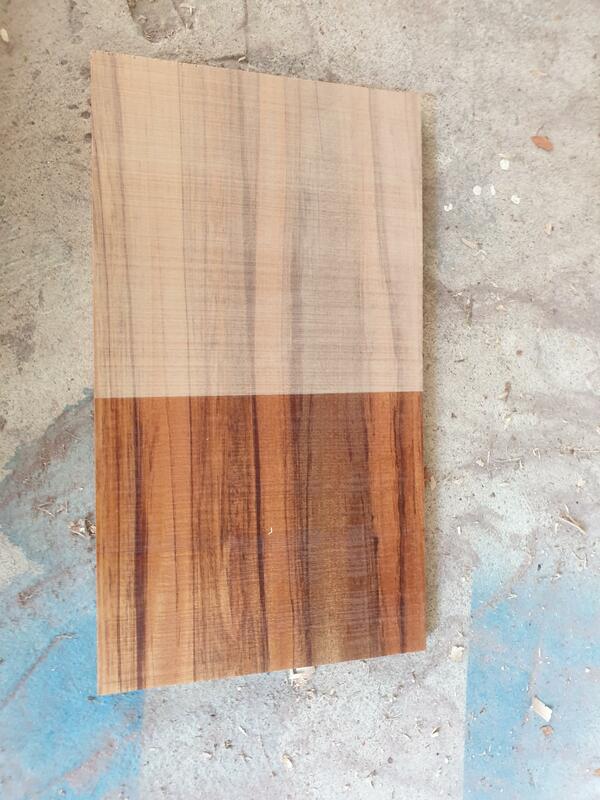 The bookmatched Yaka for the top. 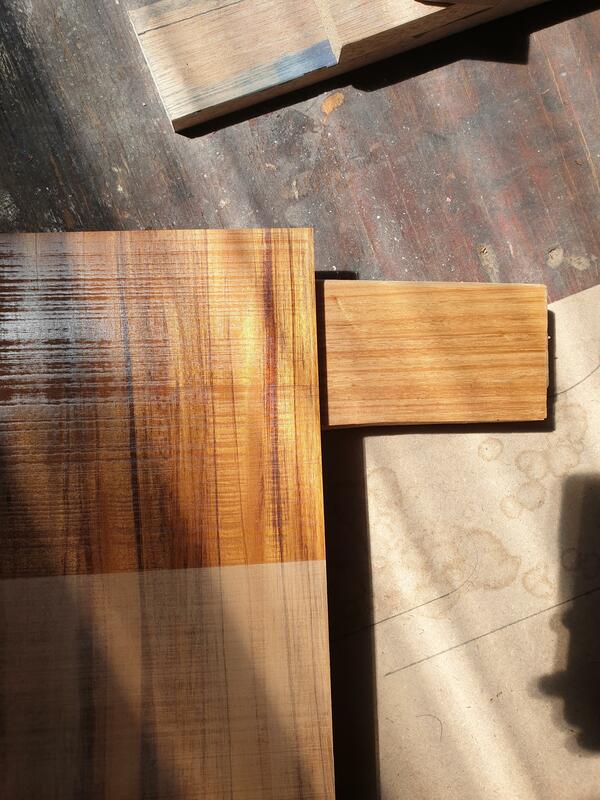 Body rough cut with bandsaw. Acrylic master templates that I had laser cut. I'm making MDF working templates using the Acrylic master. 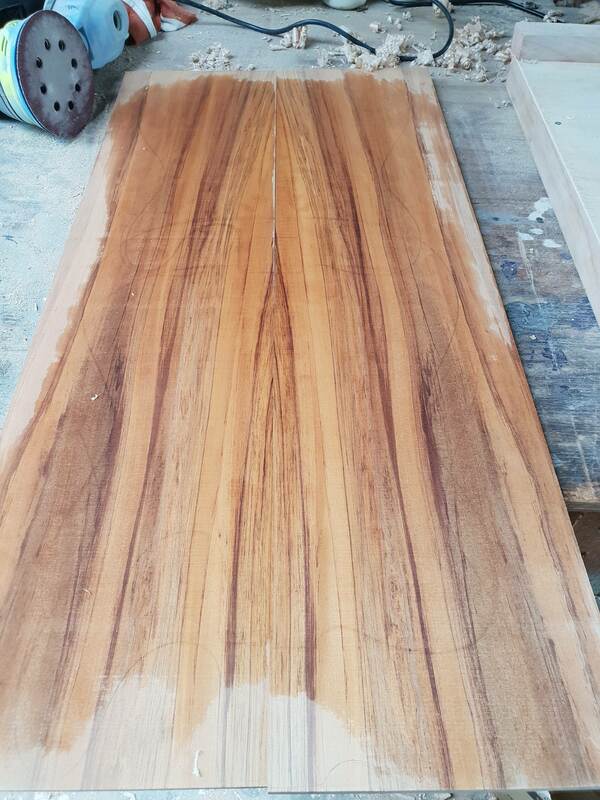 but it's a bit red for what I'm looking for and it'll go nicer with the piece of Australian Red Cedar I have for my next build. 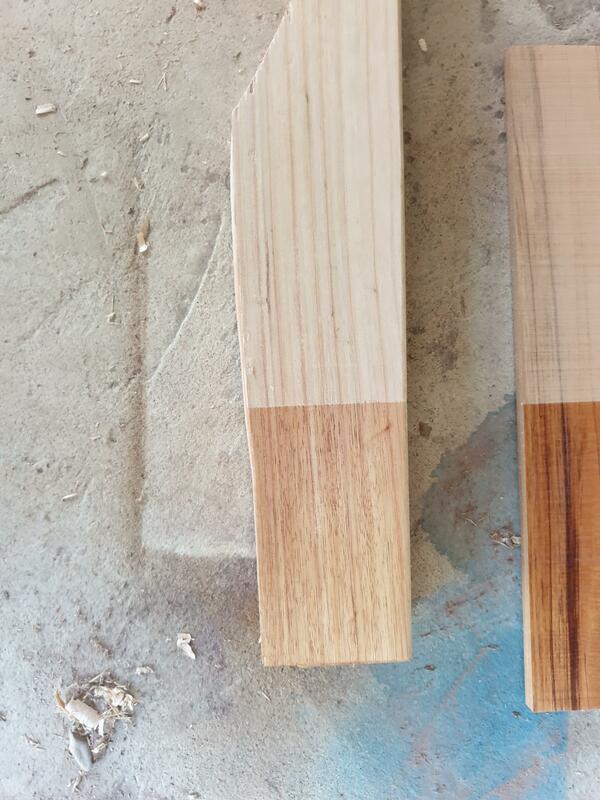 Tassie Oak and the Yaka clear coated to start considering what the finish will be. 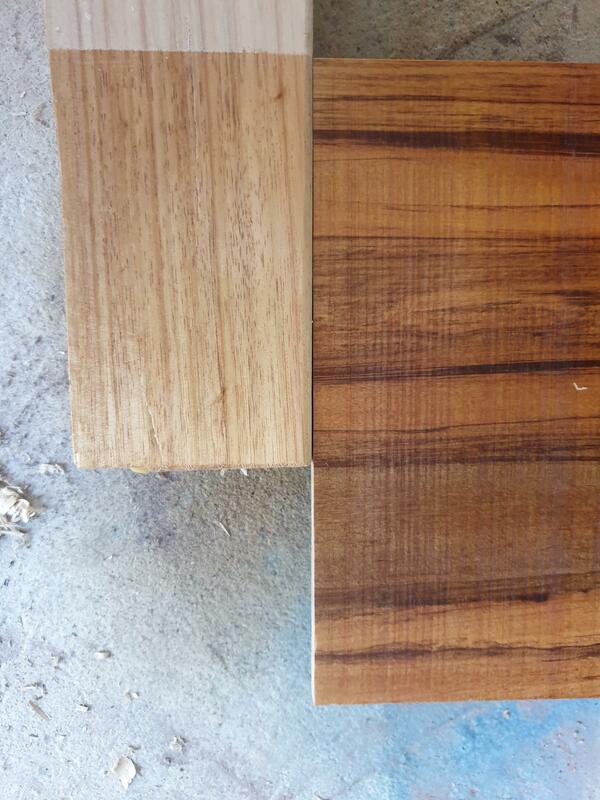 I'll probably stain the Tassie Oak darker to match up a bit better with the top. 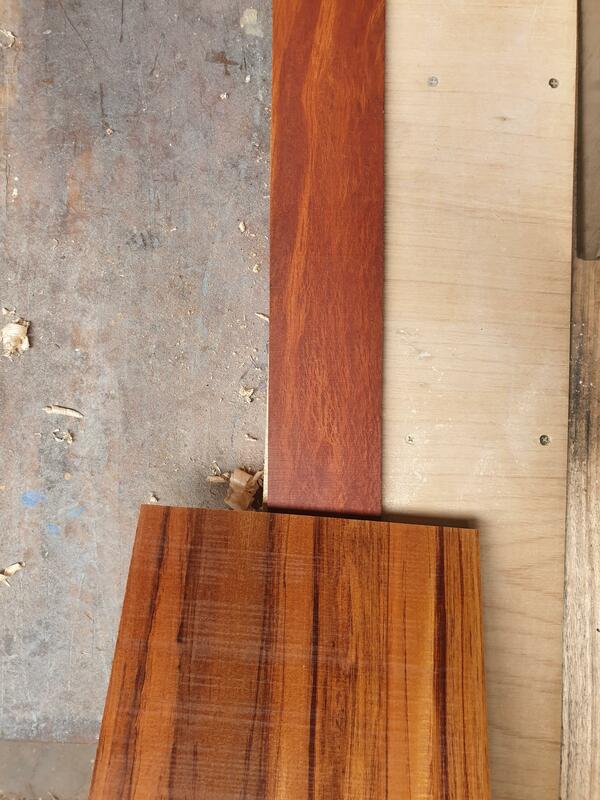 Playing with ideas before I make the neck template. 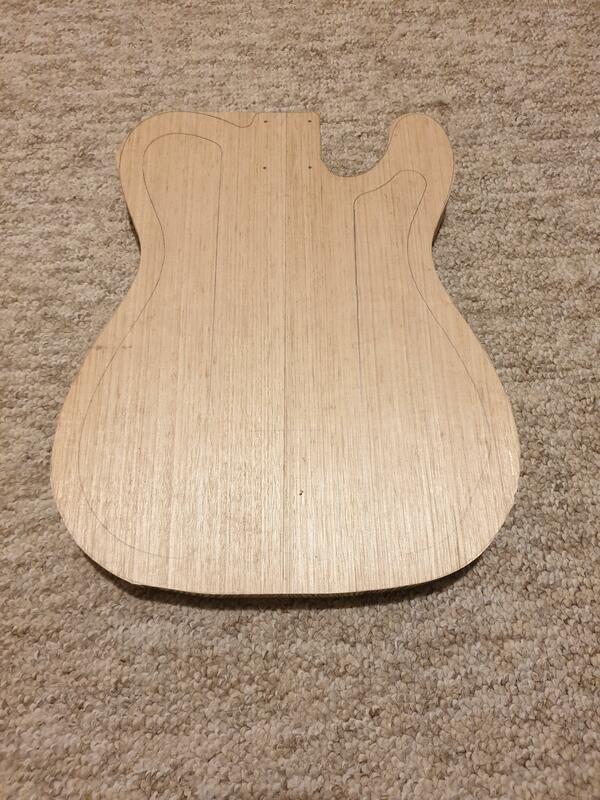 At this stage planning a 25.5" scale fender style neck but with an angled PRS style headstock. I love Thinline Teles. I've built 4 so far, all scratch builds, all different, various hardware/electrics etc. I can't get enough of 'em. I'll be following your progress with great interest. Might fire me up to build another!! !